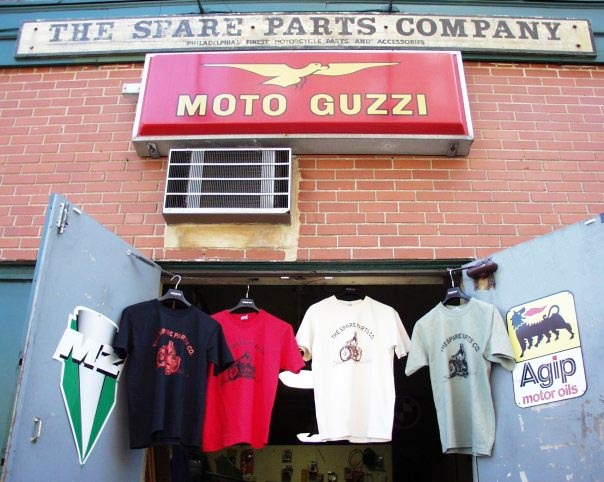 Spare Parts was founded in the late '70s, when traveling musician and sport-touring fanatic Franz Nachod began selling motorcycle service parts and accessories that he knew to work based on his experiences on the road. Soon, this humble space in Old City would find his know-how applied to the healing and maintenance of the European motorcycle marques it has specialized in to this day. After years of serving as Franz's right hand man, Roland Sotello took over the duties of the shop and has since delighted in servicing each customer's vehicle with his enduring passion, unmatched expertise, and attention to detail. 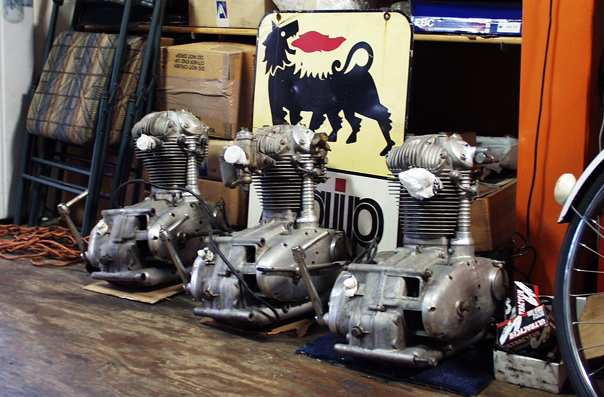 While Moto Guzzi, BMW, Laverda, MZ, Triumph, and Ducati continue to be among our specialties, we gladly service all bikes; from Aermacchi to Zundapp. Our personal attention to every detail stands alongside a collection of retail products that have proven their worth over time. So, stop by—there's bound to be something interesting to see, and always something good going on! As a full-service shop, Spare Parts is aware of the wide range of needs among its clients, whether it be a seasonal refresher to a rebuild or simply air for a tire and some reliable advice. We wrench away to the broadcast of Princeton Student Radio and chat with passers-by, taking pride in providing a less-than-intimidating service environment. When we run into something unexpected, you'll get a compassionate call to explain your options before proceeding. We promise to extend the same love and attention to your bike as we do our own, and we like nothing more than seeing our clients become our friends. Due to our small size and steady workload, services are generally scheduled 2-3 weeks in advance. Please call or stop by in person to discuss your anticipated needs, and Roland will work with you to arrange drop-off and pickup times that suit your schedule. Our artful and iconic t-shirts are produced by a neighborhood artist and are printed on quality American Apparel tees. Now available in both Baby Doll and Regular styles in sizes XS thru XXL. Please call the shop for availability and to place your order, then be sure to add yourself to our customer gallery on Facebook.